Father’s Day is coming – Don’t forget a gift for dad! Couponista Queen was compensated for this post. All opinions are 100% authentic. Father’s Day is upon us. Have you gotten dad something awesome?! If not, take a peek at some of these gift ideas that would make any dad happy. From something for his iPhone to a Father and Son Shave Set to Wine, dad will be well covered on his big day. 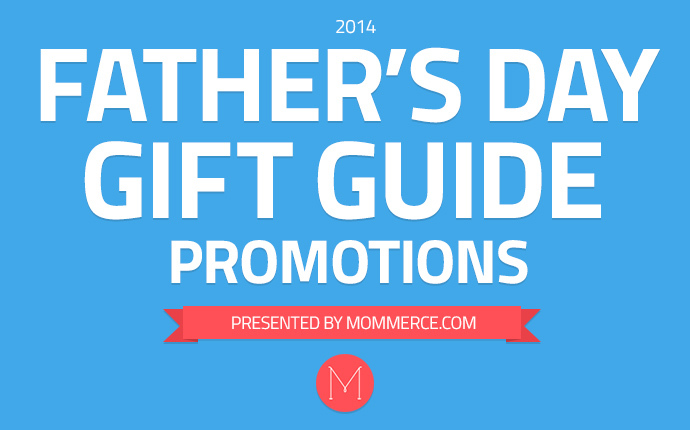 Check out our Father’s Day Gift Guide 2014 as well as these additional promotions and don’t be caught empty-handed. This is the perfect gift for the Tech Savvy Dads who love their iPhone 5s! You can purchase this online at the Apple Store, and the best part of buying it from them right now…? They are offering up FREE Shipping on orders of $50 or more! I LOVE free shipping!! If you want to keep up with other great products, then be sure to visit them on Facebook & Twitter! As a blogger and tech geek, I’m already stalking them for their next line of products! Brooks Brothers has always been the go-to store if you want your man to look great! Brooks Brothers is having an AMAZING sale on their Spring and Summer Collections! Right now you can Save 30% off PLUS you’ll get free shipping on all orders of $200 or more! Why just get him a tie when you can afford to get so much more? John Varvatos has some of the coolest and trendiest gifts that dad will definitely love! Right now, you can save up to 40% off their Spring Collection! I love these Washed Linen Boat Shoes in EVERY color! They just look they are the single most comfortable shoes out there, especially with not having to worry about laces. If your dad loves a relaxed and casual look, this is definitely a winner. This is most especially great for those who are Dads with a younger son (or sons). Passing on the ritual of shaving with a beautiful kit would be an awesome gift! Right now, this shave pack is only $25 AND Harry’s is giving FREE SHIPPING on all orders of $10 or more! Get this. Now. The perfect gift for the active Dad! Whether it’s jogging on a treadmill or on the open road, dad can keep track of all his stats with this stylish band! Right now they are offering FREE SHIPPING on all orders! Omaha Steaks For Dad – The Dad Pack! Meat. Specifically some of the best steaks money can buy. Dad is sure gonna love this gift! Right now Omaha Steaks is offering Steak pack starting at $59 + 6 Free Burgers + Free Shipping on select combos! With all of these amazing discounts and all of their other deals, how can you wrong? This is perfect with the grilling season upon us! Just make sure that dad doesn’t have to grill on Father’s Day…unless he wants to. MY dad always wants to control the grill! Wine.com – Wine for Dad! Who can say no to wine? Well, you could but what is the fun in THAT?? If your dad is into the grapes, take a look at this great deal. Right now, Wine.com is offering up to 37% off 90+ point rated wines (all under $20)! Now how can you beat a deal like that? You can also save an additional $10 of your purchase of $75 or more off your first order with Coupon Code: JUNENEW Wanna make Dad super Happy? Get him a Stewardship Membership! It’s $49 for the year of UNLIMITED FREE SHIPPING ALL YEAR LONG! No more excuses. Quit procrastinating. Get those gifts for dad crossed off your list and get ready to celebrate his bid day on June 15th!